Could This Be The Largest Solar Power Project In The World? SoftBank Group, a Japanese multinational conglomerate, has announced what could be the largest solar power project in the world. Costing an estimated $200 billion, the project could provide renewable energy to Saudi Arabia, a country most notable for fossil fuels. Saudi Arabia may be oil rich, but it’s also well-known for its ample sunshine and land. That’s why SoftBank has partnered with Crown Prince Mohammed bin Salman to build enough solar panels to generate 200GW of power. With that much power generation, the country will be able to power about 20bn LED light bulbs simultaneously, without needing any fossil fuels. Given the scale of the project, and the ginormous costs involved, don’t expect Saudi Arabia to suddenly become a clean energy paradise. The project is not estimated to be completed until 2030, and as with many major construction projects, that could easily be pushed back even further. As part of the project, Saudi Arabia is hoping to invest in its economy. Solar parks will be constructed throughout the country, while an R&D centre will also be set up. This should mean that Saudi Arabia will be largely self-sufficient in the construction of the solar farm, it will also help diversify the economy away from oil. The hope is that only the initial solar panels will be imported, with the rest being manufactured in Saudi Arabia. 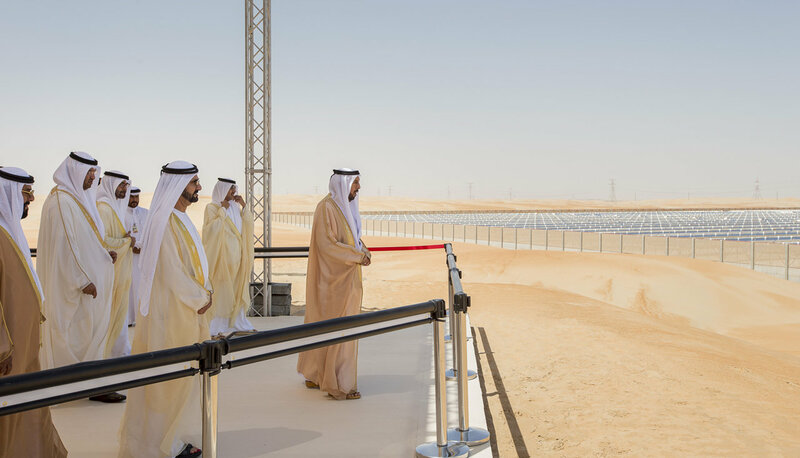 Not only is this being described as one of the largest solar power projects in the world, but it will also be one of the most cutting-edge. Saudi Arabia wants the technology to continually evolve, while it will also use battery storage to store the immense amount of power that is being produced. Unfortunately, the project isn’t yet a done deal. Despite backing from the Crown Prince himself, the plans are not yet formal or binding. Instead, the announcement comes as a ‘memorandum of understanding’. It’s still likely to go ahead, however. That’s because much of the funding is already in place, with $93bn coming from the SoftBank Vision, of which Saudi Arabia is the biggest backer.